A rebuilt old Walthers kit built observation from the early 1940s models the private car of Lucius Beebe and Charles Clegg as it appeared in a photo taken while on a siding at Monterey CA in 1955. 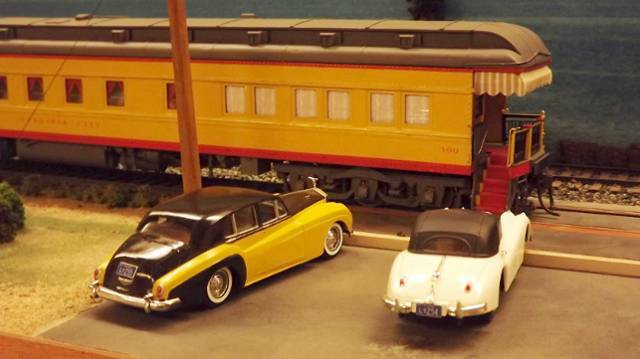 Included are models of their two cars, a 1955 Rolls Silver Cloud and a Jaguar XK-140. Both have been repainted and detailed to match the prototypes' appearance.